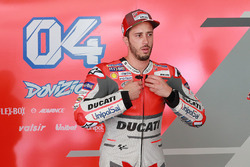 Andrea Dovizioso scored pole position for MotoGP's Japanese Grand Prix in a typically frenetic qualifying shootout, while champion-elect Marc Marquez could manage no better than sixth place. 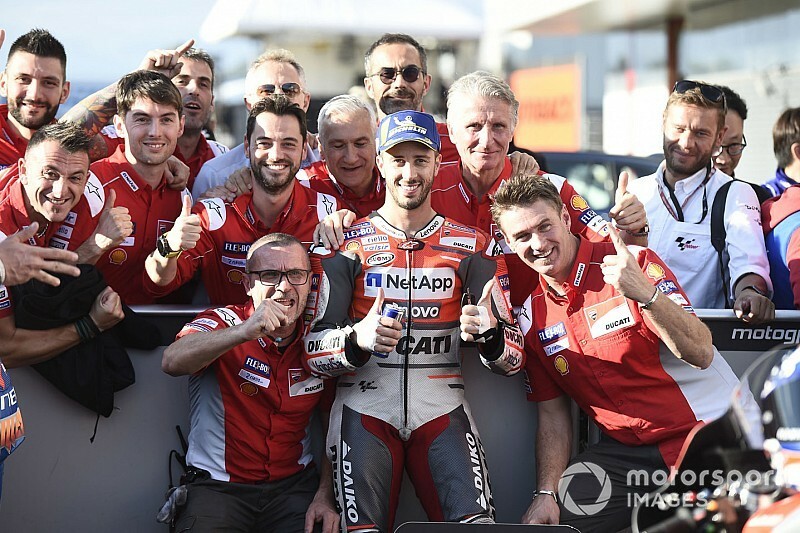 Ducati rider Dovizioso produced a scorching lap of 1m44.590s in the dying moments of the 15-minute Q2 session to secure his second pole of 2018 and give himself the best possible chance of delaying Marquez's coronation. Marquez, whose points lead stands at 77, cannot win the title at Motegi if he is outscored by Dovizioso. The opening runs were led by LCR Honda's Cal Crutchlow, who became the first man of the weekend to breach the 1m45s barrier with his lap of 1m44.909s. That was shaded by Marquez to the tune of a tenth when the second runs commenced, the Spaniard reduced to just one bike for qualifying after damaging his first machine in an FP4 crash. But Marquez was immediately beaten not only by Crutchlow on the Briton's next attempt but also Pramac Ducati's Jack Miller, who briefly held pole before Dovizioso demoted the Australian to second with a time 0.069s faster. Johann Zarco set three red sectors on his final flyer aboard the Tech 3 Yamaha, but lost out in the final sector and had to settle for second, albeit edging out Miller for the middle spot on the front row by under a tenth. 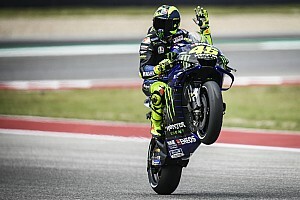 Crutchlow was shuffled down to fourth amid that action, while Marquez lost a further grid spot when Suzuki's Andrea Iannone went fifth fastest after the chequered flag. Maverick Vinales was the best of the factory Yamahas in seventh, over half a second off pole, followed by the second Suzuki of Alex Rins and Valentino Rossi, who was a little over a tenth down on teammate Vinales. 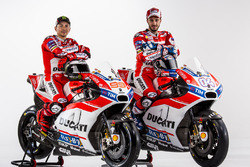 Completing the order in Q2 were Q1 pacesetter Alvaro Bautista (Nieto Ducati), Dani Pedrosa (Honda) and local hero Takaaki Nakagami (LCR Honda). Bautista topped the opening segment of qualifying by two tenths from Nakagami, who had led after the opening runs and was denied the top spot only once the chequered flag had fallen. The last-minute improvement bumped KTM rider Bradley Smith out of the top two, meaning the Briton starts 13th on Sunday ahead of teammate Pol Espargaro. Danilo Petrucci's bad weekend continued as the Pramac man could only muster the fifth-fastest time, condemning himself to 15th on the grid after a crash in FP3 denied him a chance of making it into Q2 directly. But compatriot Franco Morbidelli suffered an even more torrid session as he suffered a spectacular crash at Turn 12 in the closing stages of the session, not long after he had jumped up to second. The Marc VDS Honda rider, who walked away seemingly uninjured, was shuffled down to 17th on the grid behind the second Tech 3 Yamaha of Hafizh Syahrin. Aleix Espargaro was the best of the Aprilias in 19th, followed by Yamaha wildcard Katsuyuki Nakasuga in 20th. Suzuki tester Sylvain Guintoli qualified the 2019-spec GSX-RR in 24th, ahead of only Avintia Ducati stand-in Jordi Torres.